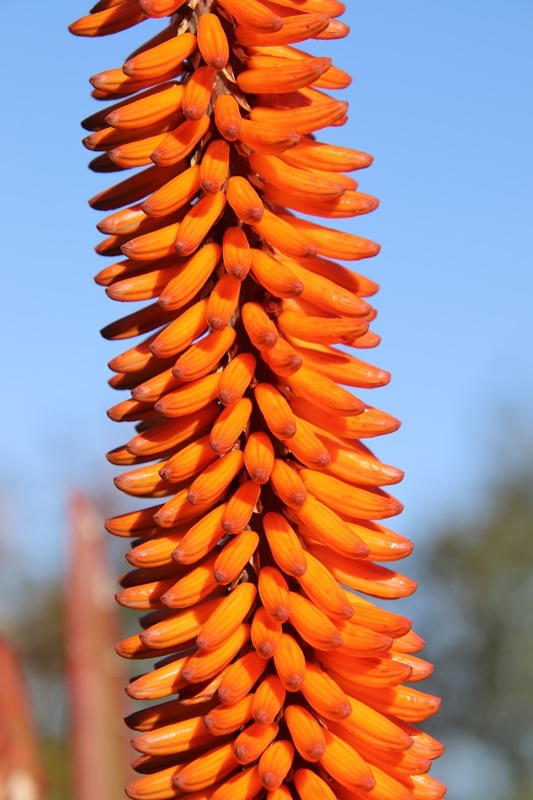 Among the many indigenous aloes we enjoy in South Africa is the Aloe striata, which blooms for some time after the other showy aloes have their flowering season – from July until about October. 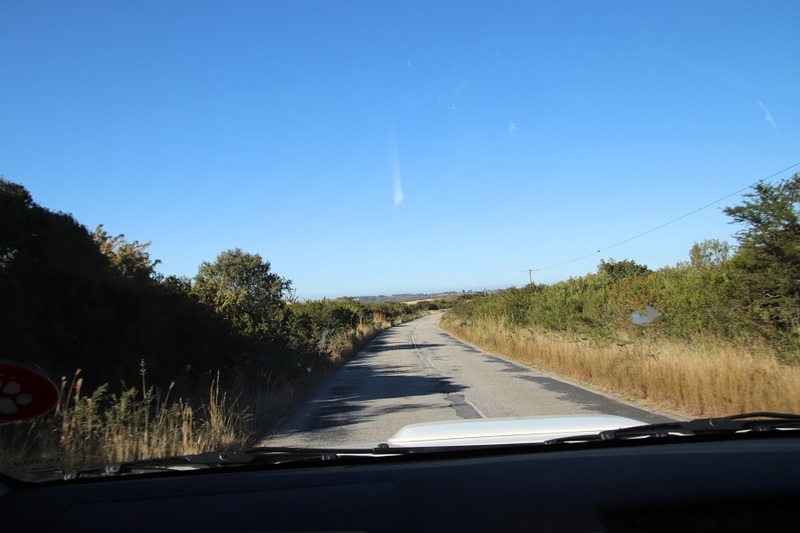 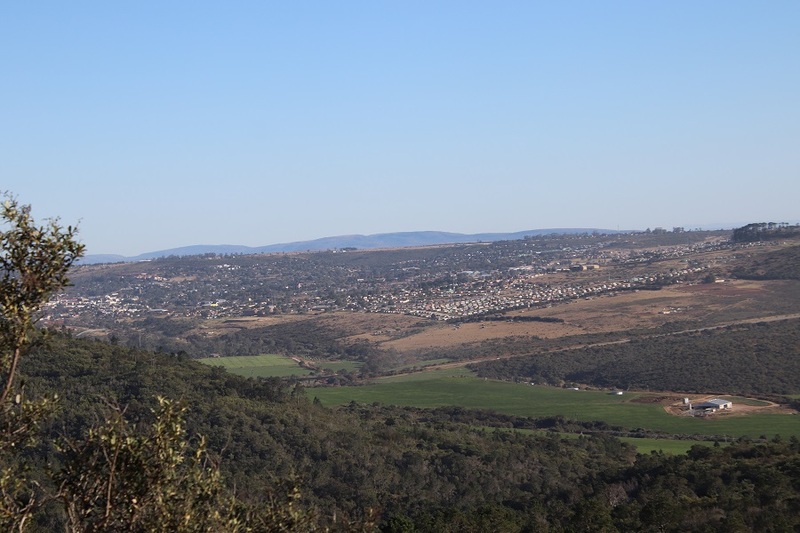 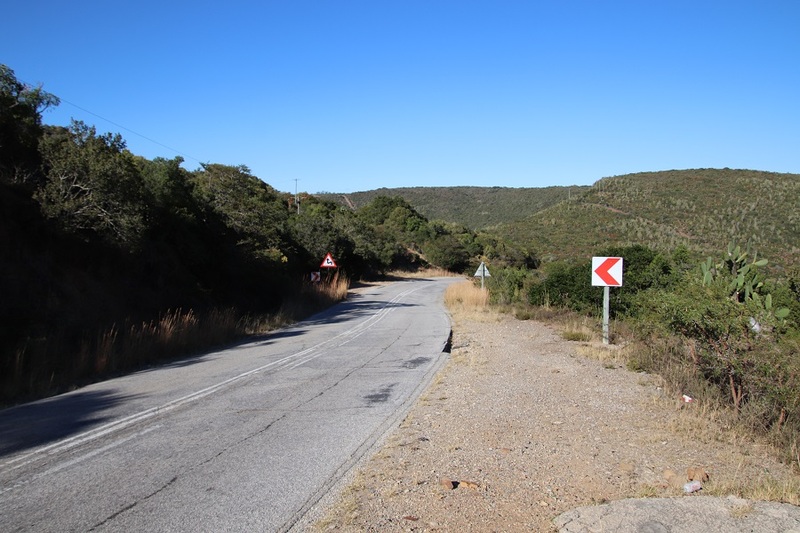 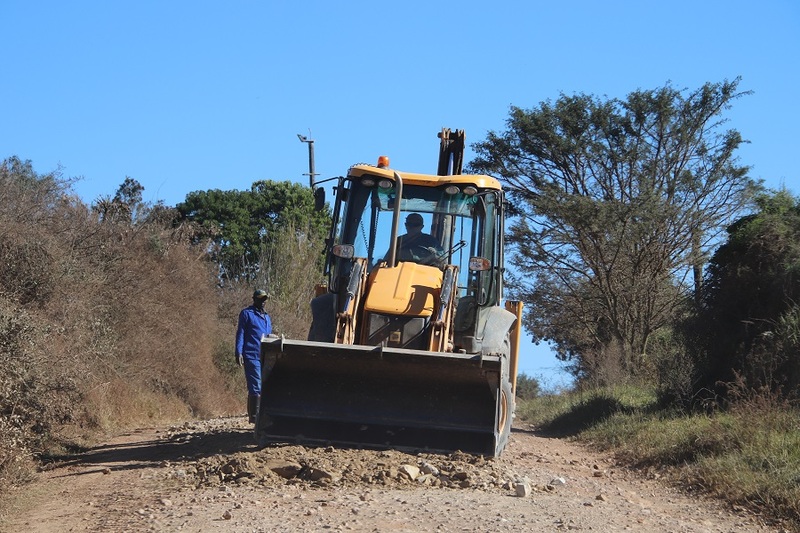 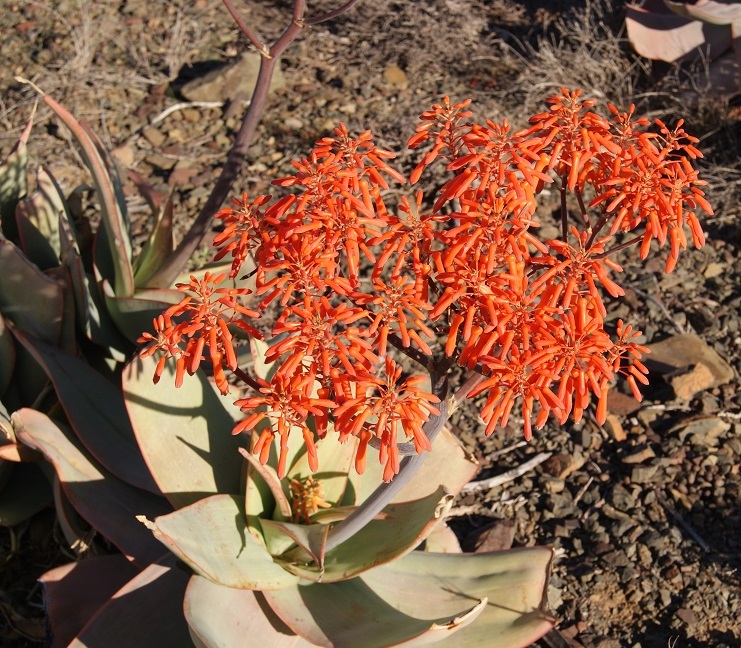 It is widely distributed in the dry parts of the Eastern and Western Cape and, as you can see in the image below, it brightens up stony, arid areas of the veld. 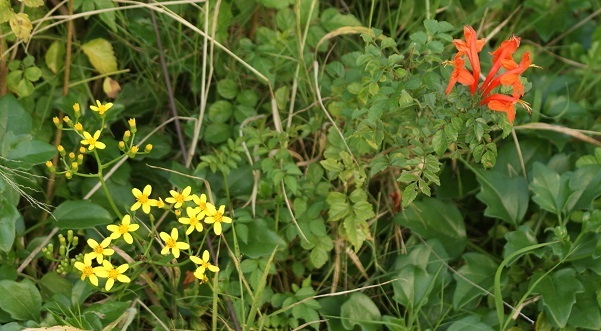 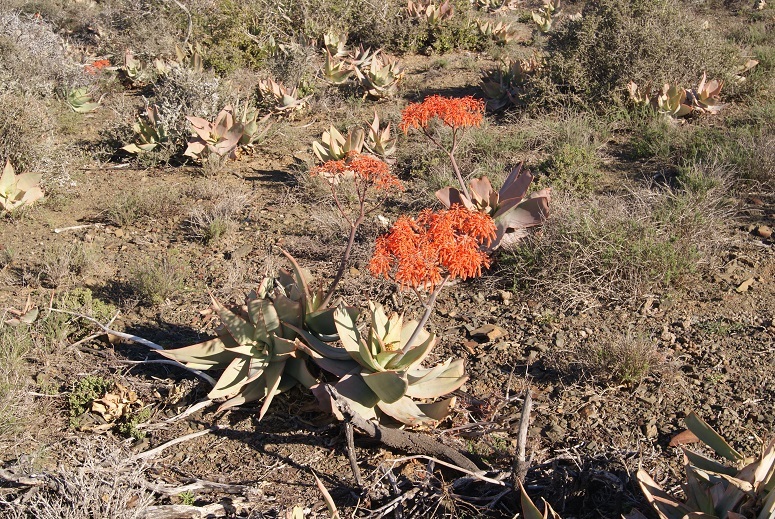 This is a closer look at the unusually red flowers that have given rise to Coral Aloe as its common name in English. 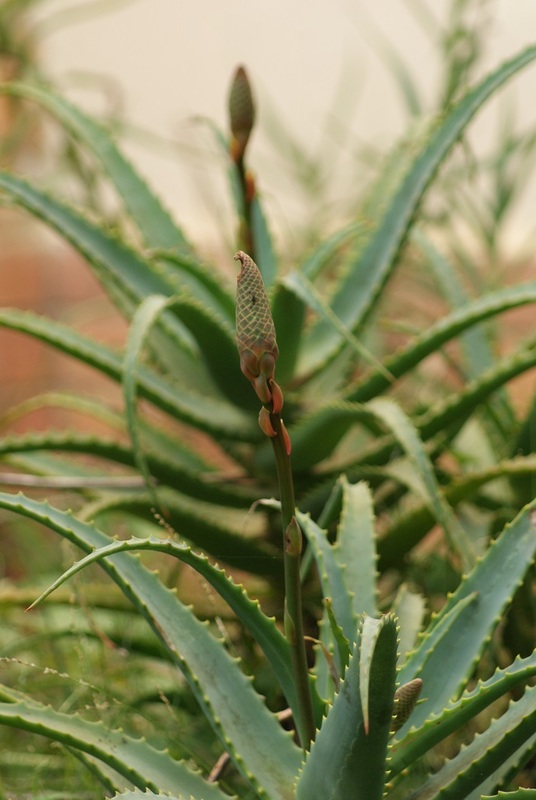 On the other hand, the blue green leaves lined with a pink, spineless margin, have spawned the name Bloualwyn (Blue Aloe) in Afrikaans. 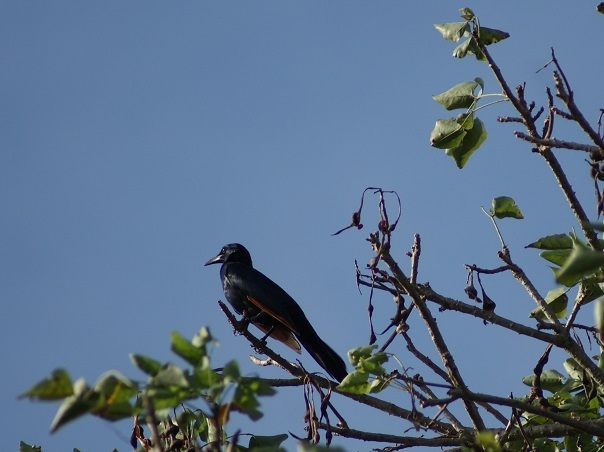 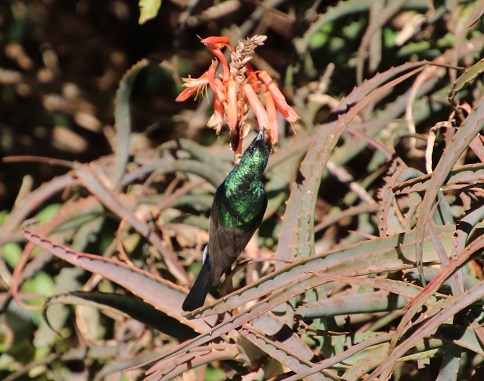 The striata part of its scientific name refers to the longitudinal lines on the leaves. 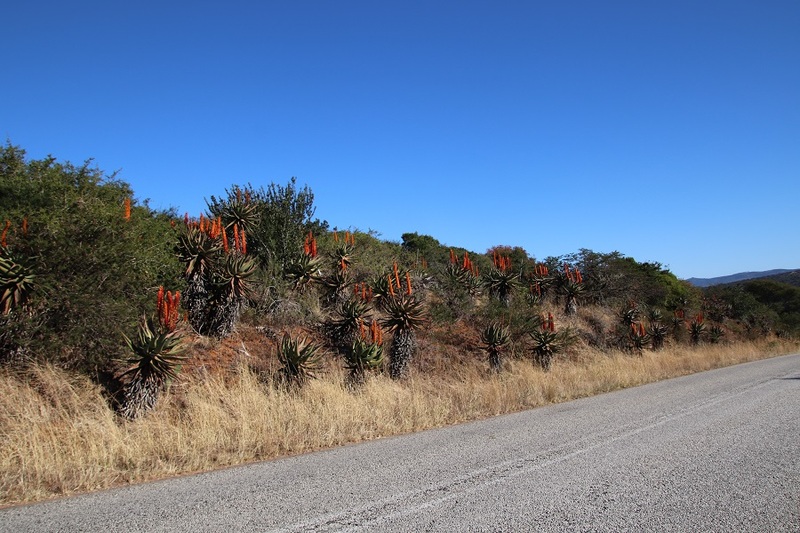 The main reason for our drive out of town yesterday was to admire some of the many aloes that are still blooming in the veld at this time of the year. 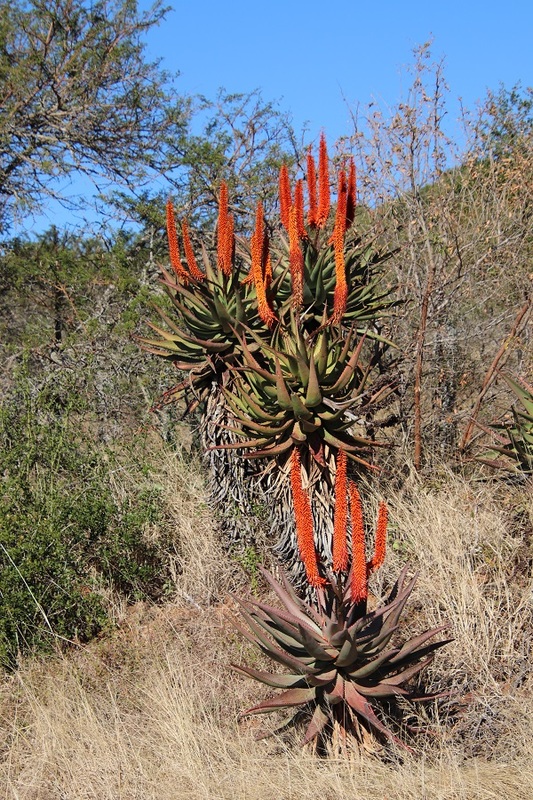 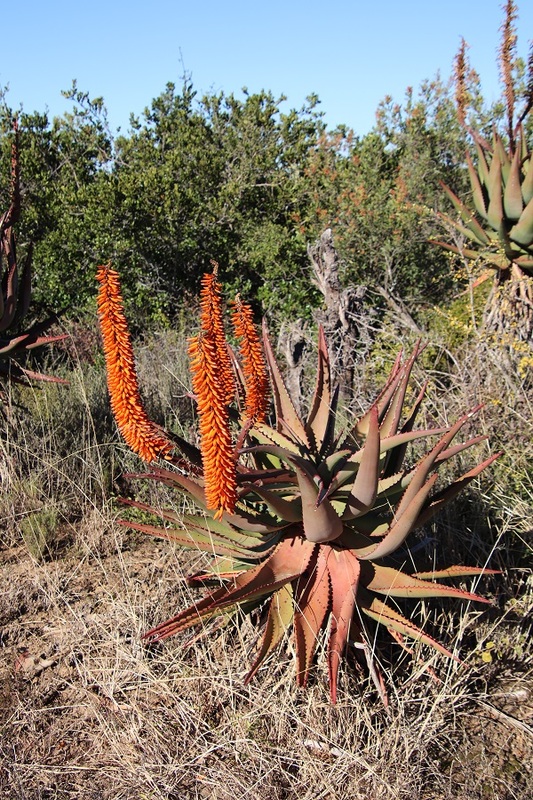 The most dominant of these are the beautiful Aloe ferox (also known as Bitter Aloe), some of which can grow up to five meters. 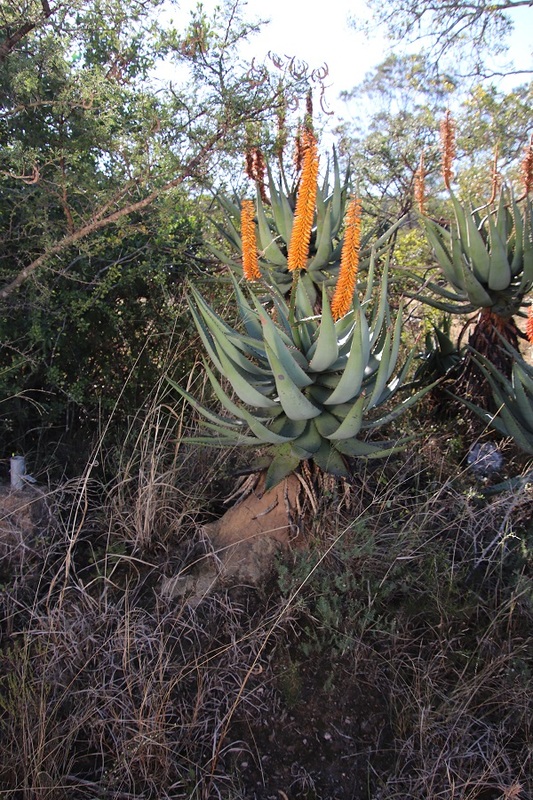 In the picture below you can see younger plants in the foreground with older ones behind – easily recognised not only by their height, but by the dry leaves that remain on the stem as the aloe grows. 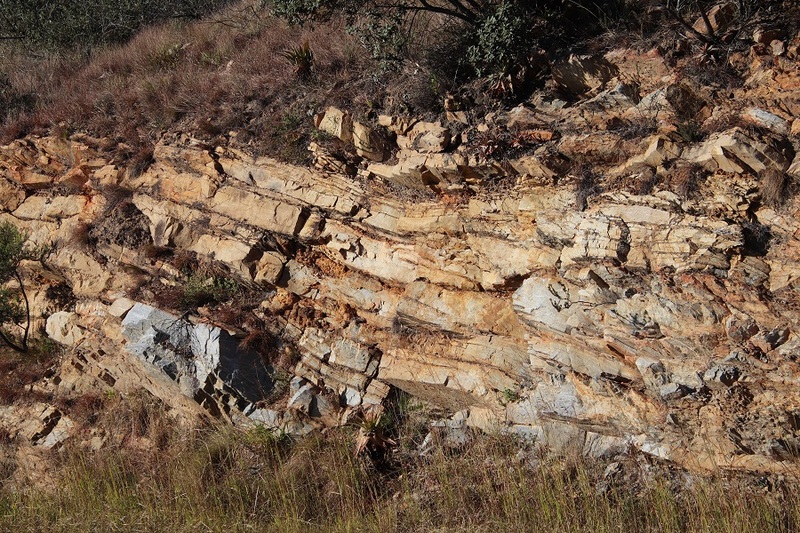 This one has the beginning of a potentially large termite mound developing at its base. 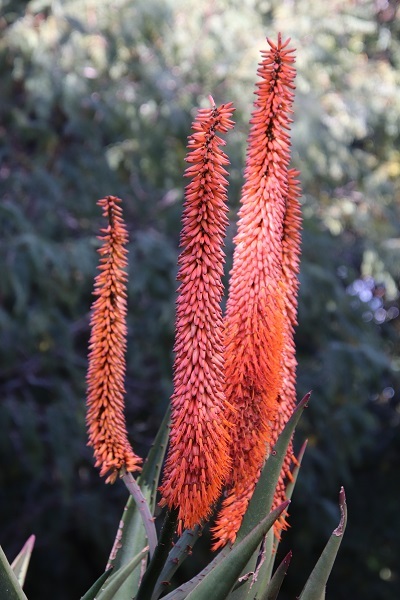 Although their spiky leaves are usually a dullish green, they can turn a reddish colour during drought conditions. 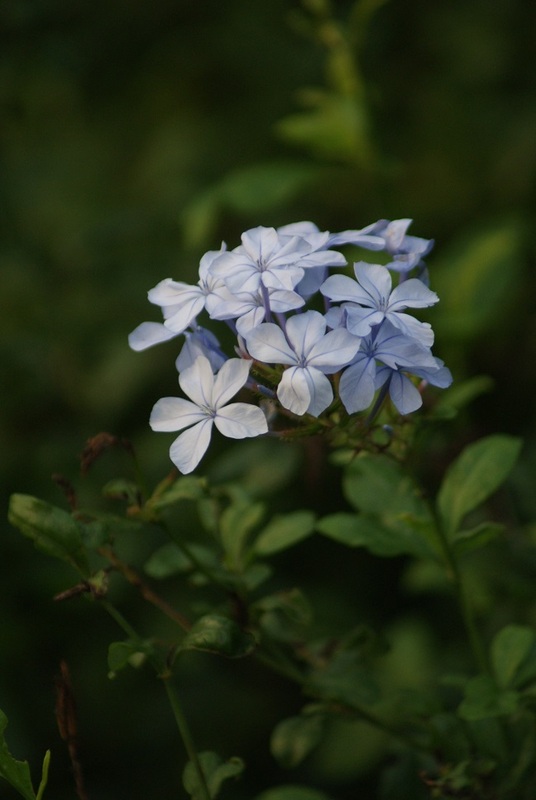 Seen close up, one can appreciate how beautiful their flowers are. 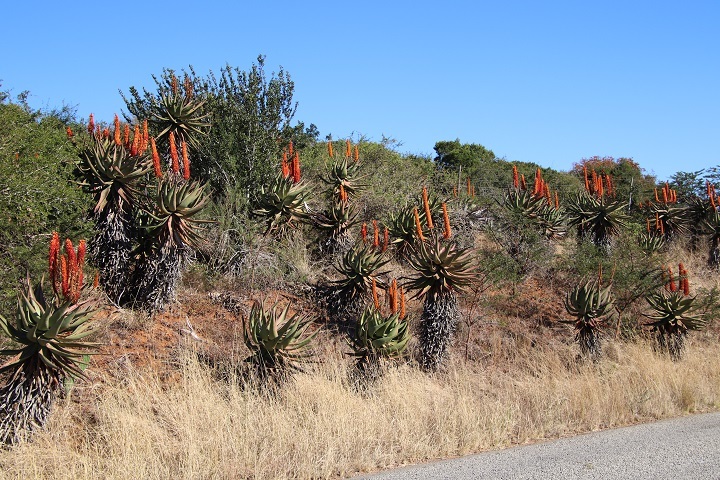 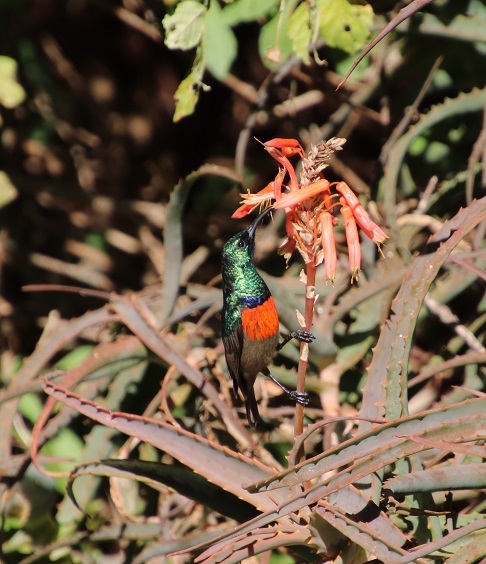 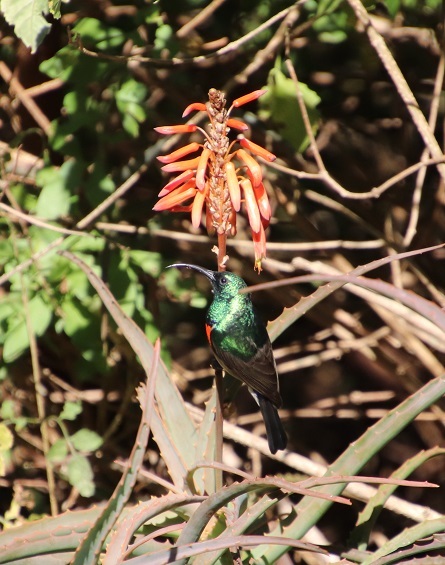 Aloe ferox are widely distributed throughout the drier parts of South Africa and provide an abundant source of food for insects and birds during the colder months of the year. 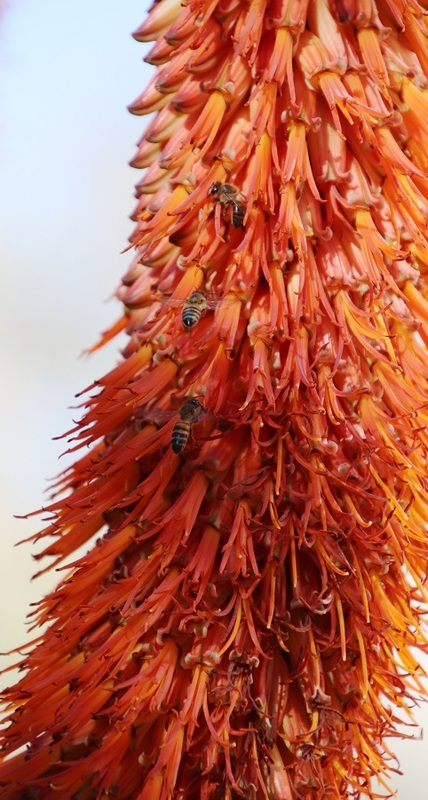 We saw Black-eyed Bulbuls and Streaky-headed Seedeaters feeding on them next to the road, as well as these bees. 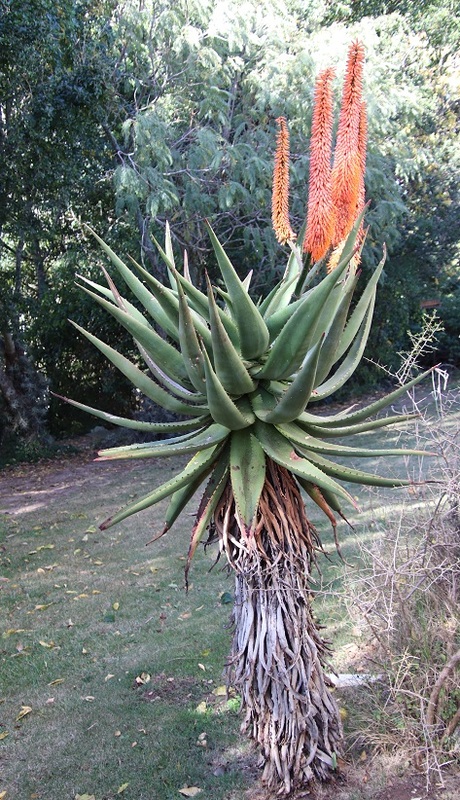 This iconic Aloe ferox grows on its own in our front garden. 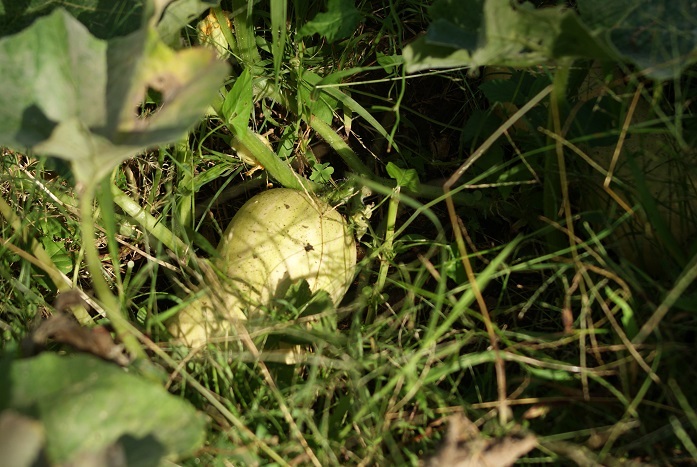 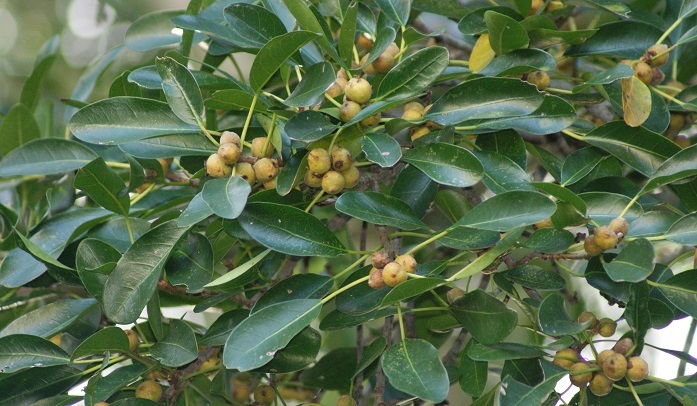 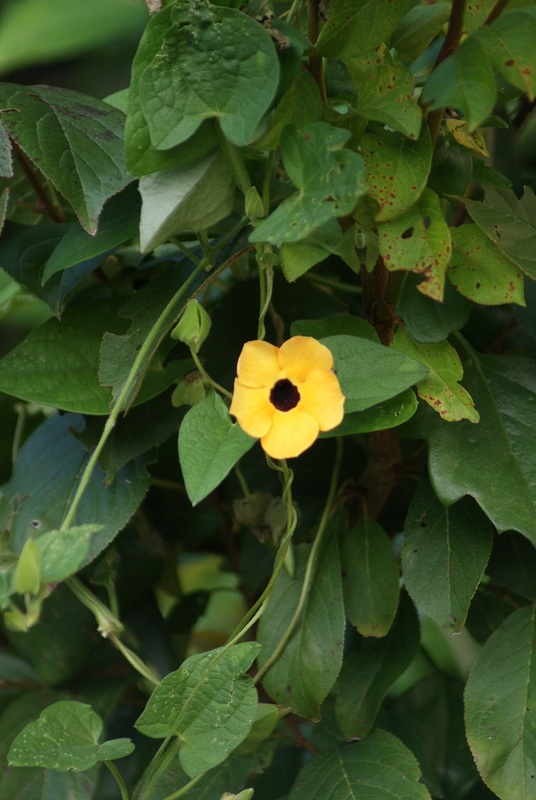 The leaves are broad and dull green, while the dry leaves remain on the lower parts of the stem. 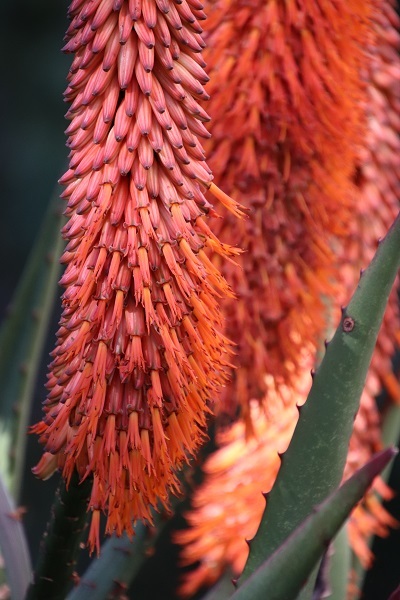 The bright orange-red flowers provide a cheery sight in the winter garden. 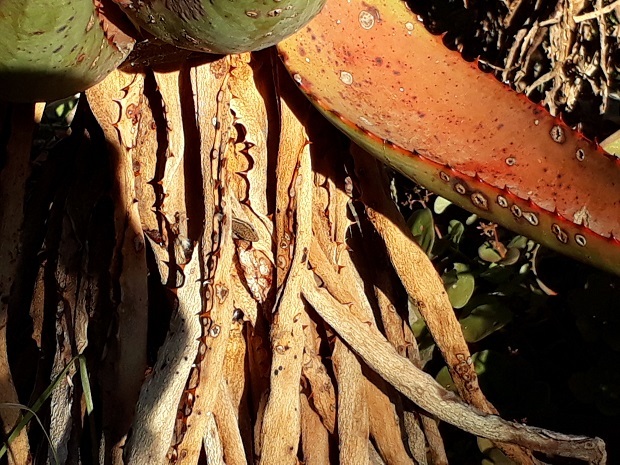 As you can see, they open from the bottom up. 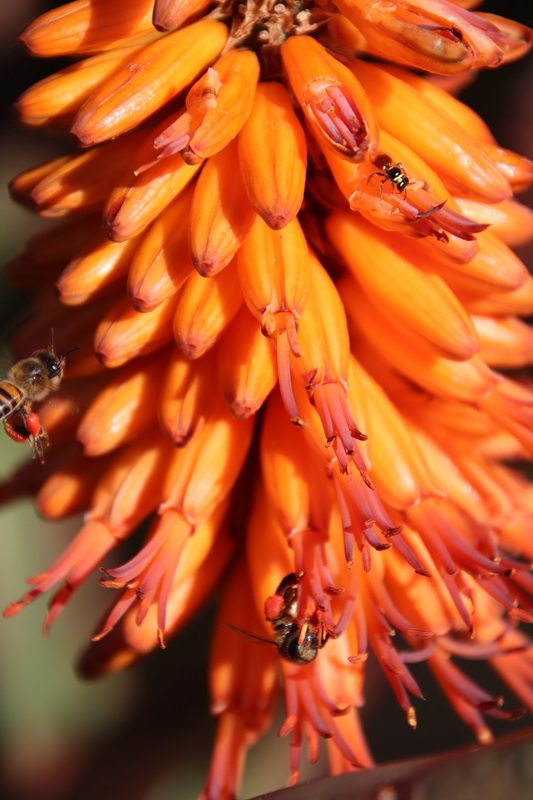 They are a magnet for bees.